When you work with College Consultants of South Carolina, you receive insightful, current information focused on your individual needs. I will help your child find those colleges that fit educationally, personally and financially and create a plan for their educational achievement. Your goal is my top priority. When you work with College Consultants of South Carolina, you receive insightful, current information focused on your individual needs. I will help your child find those colleges that fit educationally, personally and financially and create a plan for their educational achievement. 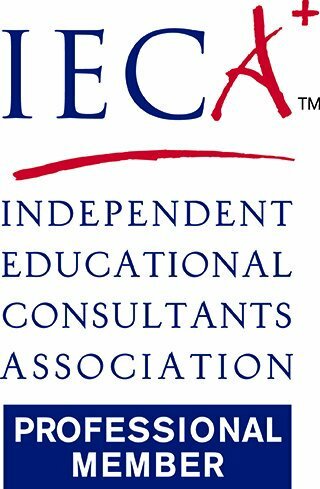 I am a full-time Independent Educational Consultant and thoroughly enjoy coaching high school students through the college selection and application process. I am passionate about helping them use their high school experience to become better positioned for admission, find colleges to fit their unique needs and aspirations, navigate through the application and financial aid process and decide which college offer is in their best interests. With the increasing cost of higher education, I also ensure that students target merit scholarship opportunities when available. My clients are 9th – 12th grade students who want in depth, individualized assistance searching for and applying to colleges. My customers are parents who want more personalized assistance in the process and value having an experienced college admissions expert on their team. I work with students throughout the United States as well as internationally. I have over 35 years experience helping students develop during their high school years so that they can present a strong platform when applying to college. I care greatly about YOUR success in high school and beyond. This is my passion. I am YOUR admissions expert to help you find colleges that really fit. I schedule meetings around your schedule – after school, on the weekend or on school holidays. I also meet via Skype if you are not located nearby or have a tight schedule and cannot meet face-to-face. I am YOUR personal college admissions expert throughout the entire process. I want to reduce the amount of stress that you experience when your child is applying to colleges. I will help you examine college affordability so that you will know the true cost. With 35 years of experience, I am YOUR college consultant, here to answer your questions and help you navigate the entire process. You, your child and I become a team throughout this process. I have learned what is required to find the best fit schools and am very experienced working with students and parents. I am committed to remaining current on contemporary admissions trends and personally visit 20 – 35 different campuses each year. I have an outstanding record helping young people develop, find their best fit colleges, receive merit-based scholarships and successfully transition from high school to college. Make your child’s college preparation and application process easier with the professional assistance that I offer. With my extensive experience in the college admissions process and the most up-to-date knowledge of admission requirements, I help students and parents develop personalized strategies for success. I assist students from ninth grade through the senior year of high school plan for and find colleges that fit – academically, personally and financially. My skills, experience and cooperative attitude will make the college preparation, selection and application process easier, less stressful and more effective. Contact College Consultants of South Carolina today and schedule a free initial consultation to learn more. 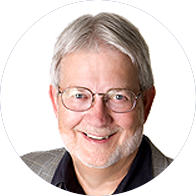 Dr. Jim Overton began his professional career as a psychologist with the South Carolina Department of Mental Health, and later worked with Family Services of Columbia. From 1983 - 2008 he worked as a school counselor at Spring Valley High School in Columbia, SC, one of the state's premier high schools. While there, he actively assisted students in the college search and application process and maintained a constant focus on the best possible outcome for students in both academic advising and college admissions counseling. Beyond the many students he helped in the college search and application process, his accomplishments include numerous presentations to parents and students on choosing and applying to colleges and identifying scholarship and financial aid opportunities. Since 1996, his students have been awarded close to $60 million in scholarships. Following his retirement from the public school system in 2008, he founded College Consultants of South Carolina, LL..
We could not be happier with our experience with College Consultants of SC. Dr. Overton guided my son through assessments, ACT and SAT prep, college s..
Donna Lehman – Columbia, S.C.
Dr. Overton helped my daughter identify a good school for her at a good price. Now hes working with my son. My son attends private school with a very .. Entering 11th grade, I didnt know what I wanted to do or where I wanted to go for University. On top of that, I lived in Australia, where info on US u..
My son and I attended a talk that Dr. Overton gave at our local library. We found him to be very knowledgeable about the college entrance process, but..
My wife and I have just attended out first meeting with Jim, but already we are feeling the anxiety come under control. It is clear that Dr. Overton c..
Dr. Overton's knowledge has been invaluable in helping my children navigate the 21st century college application process. Times have changed and Dr. O.. Working with Dr. Overton is a great experience. With him, you get out what you put in, and he is always there to help with the process. Dr. Overton is..
Now that the dust has settled, I wanted to thank you for all of your help in guiding Gabrielle through her college selection process. There is no doub..
Dr. Overton has helped push me to research schools and has helped me discover schools that I would have never known about. His insight into college ap.. I wanted to thank you again for everything you did for me for my AmeriCorps Internship application. Unfortunately, I did not get the internship, but I.. The whole college process is so overwhelming - from the applications, the essays, the college visits (now, those were pretty fun!) and the idea of hav..
Dr. Overton has been of wonderful assistance to my college planning process. He was able to help me determine the major that best fits my interests an..
At the start of my senior year, I was completely swamped with the reality of college applications. Though my grades and SAT score were high, the thoug.. I recently completed my first semester at Clemson University as part of the Calhoun Honors College, and I could not be happier with my experience. I..
Dr. Overton did a fantastic job working with my son who is now successfully beginning his freshman year at a wonderful college. Dr. O. worked diligent.. I've been meeting with Dr. Overton for about a year, and I think that is one of the best things I could've done. He helped me with my resume, and beca.. I had almost no idea coming into the whole experience. I knew what I wanted to do, but had no idea where to study, with what has the requirements I wa.. Thank you Jim! Sarah was notified yesterday that shes a 2013-2014 Questbridge National Finalist. You continue to be phenonminal in her quest for colle.. I have worked with Dr. Overton. He really is very well informed and teaches you how to go through the process of the college application, including wr..
Dr. O is one of the most helpful, influential, and nicest part of my college application process. He helps you organize and prioritize due dates, essa..
Dr. Overton is not your average college consultant. He knows how to help students find the right-fit-college. But most importantly he establishes an a.. I want to thank you for working through everything with me and being so patient. We got er done like youve always said and I would say 5 out of 6 scho..
Dr. Overton was immensely helpful in many aspects of the college application process, but I would have to say that he was most helpful with the writin..
Jim worked tirelessly with our son to discern the best college for him. He began by doing personality inventories and career profiles then began recom..
Dr. Overton is, in my opinion, the best in the State (if not the Southeast) at what he does. If you have a need or desire for your high school student..
Dr. Overton helped our daughter Maris prepare for her college admissions process. With his help, she secured admission to American University with sch..